How do I choose the best books for my child?” The children’s section of a library or bookstore can be overwhelming. Here are some tips that can make the selection process easier—and help you take home books that will continue to motivate your young reader. What are your child’s interests? Is he or she currently fascinated by trucks, bugs, or princes and princesses? Look for books that connect with those interests. Keep the classics in mind. Some of the books you loved as a child may be just as appealing now. Take note of books your child seems to enjoy. Look for books by the same author or illustrator. These people will become like old friends to your child. If your child likes fairy tales, look for different retellings of a favorite. 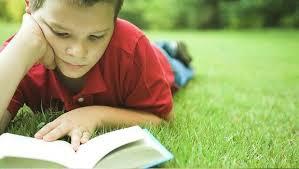 If your child is a beginning reader, select some books with repeated text. These books will help your child read along with you or more easily read the text on his or her own. An example is Eric Carle’s The Very Hungry Caterpillar (Putnam, 1981). Consider award-winning titles, such as Caldecotts (the best illustrations of the year) and Newbe(best story of the year). These books, such as the Caldecott winner Make Way for Ducklings by Robert McCluskey (Viking, 1941), often endure over time, and may appeal to your child as much as they have to countless other children. For more ideas, check with your school or public library media specialist. Or investigate reading resources on the Internet. One favorite is Carol Hurst’s Children’s Literature Site (www.carolhurst.com), an extensive site that includes reviews of children’s books. Most importantly, involve your child in choosing books to read. Children are often drawn to books adults may overlook. Thank you to © Scholastic Professional Books for a wonderful guide!